Thanks to their success with the Educational Marine Areas, the group plans to present at an international conference, so that other places around the world can benefit from the idea. 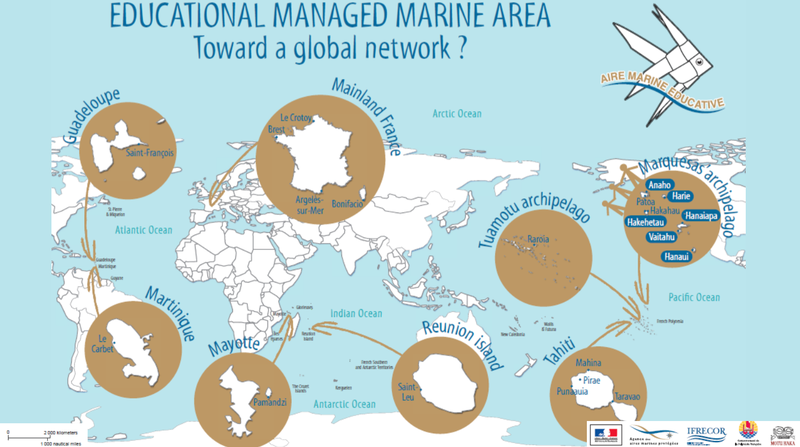 The French environment ministry appears to be committed to spreading the model to mainland France and its overseas territories. With huge smiles, elder ladies sang Polynesian songs to the strum of acoustic guitars, swaying in their sarongs and flowers tucked into their hair. They were amidst the July festivities, celebrating with a community lunch. Although lunch time was technically over, our host Pascal kindly asked the cooks to serve us portions of the traditional Marquesan meal they had prepared for their village members. Despite the revelry, Pascal seemed somewhat morose on this day. I asked him how were things with the kid’s marine reserve. “That’s fantastic. They are actually presenting at the conference?” I asked, still wondering how this could be getting him down. “Yes, in fact, our EMMA model [educational marine managed area] is being considered as a new, official protected area format. There are six types that are recognized, ranging from “limited entry” to “no-take” to “managed use,” Pascal continued. Felix is the director of the school in Vaitahu (island of Tahuata) and also a teacher there. Recall our blog post when Pierre (Sabrina’s brother) was a visiting teacher at Felix’s classroom ! “What a great idea! I know many people in the States who would be very interested in the EMMA model. So plans for the Chile conference are solid?” I prompted. “That’s the thing,” Pascal said, looking slightly uncomfortable. “We had all our funds for the trip, in fact we have the airline tickets already, so we are going. “But the French Polynesian education ministry just told us that our choice of accommodation wasn’t approved. We were invited to stay at a school in Chile, and also at a school with our ancestral cousins in Easter Island, which we will visit enroute, so costs were kept low. But now we need to stay at a hotel or bungalow, an “approved tourist facility”, Pascal intoned with mild disgust, referring to the bureaucrats’ terms. “I am sad and angry that they only told us this with so little time left. But tomorrow on Monday I will start the day with a clear head and start looking for the money we need,” Pascal nodded solemnly. I probed Pascal further and he shared that they are short US$7000, which they actually need by mid August ideally, or soon after. The funds need to go to Motu Haka, the non profit organization in Marquesas. The crew aboard Aldebaran met and discussed whether we can help out. The Green Coconut Run was originally born with two goals: as a community sailing adventure, and as a way to promote ocean conservation. Here was a perfect example of what we hoped to achieve: come across amazing projects along our travels, which we can help support and share with the world. We want to work together to help the Marquesan school children and the EMMAs. Want to learn how? Read below. 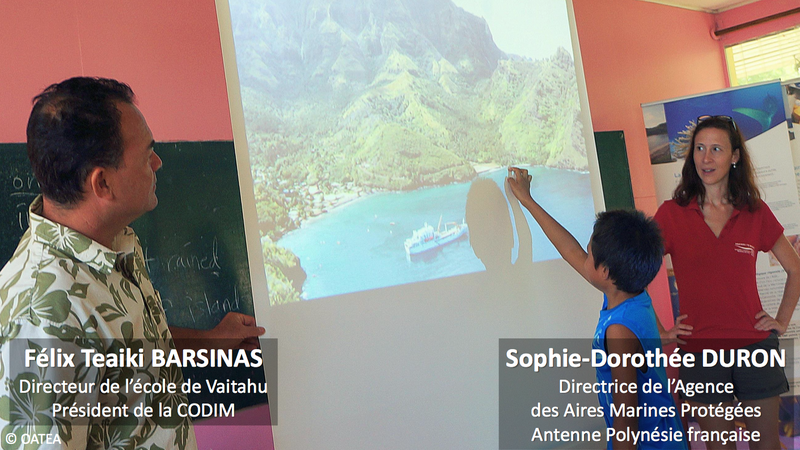 —-> Here’s how we plan to help the school kids fund their trip to Chile to share their model with scientists from around the world; while supporting the EMMA program and marine reserves in Marquesas. We ask you to contribute $100 or $250 via paypal to greencoconutrun@gmail.com ; the first 20 donors will receive special Marquesan gifts. 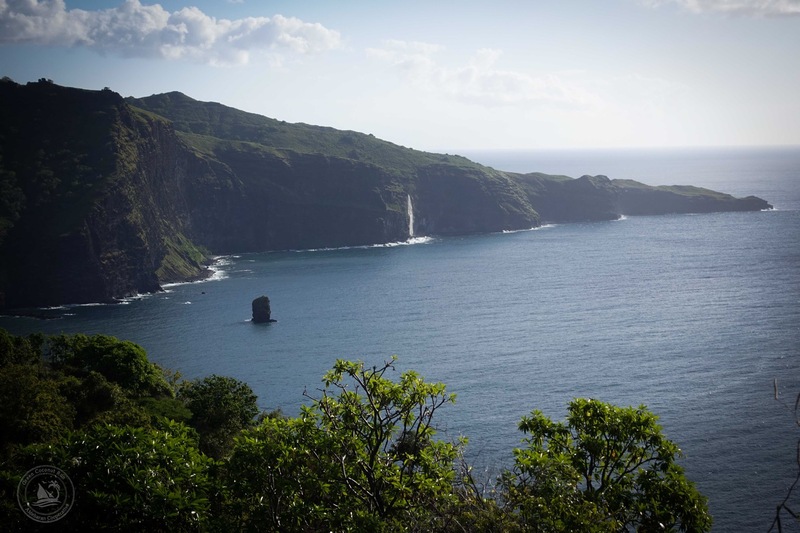 Hanaipa, in the north coast of Hiva Oa (which we visited with Pierre, Chris, and Lianna), is one of the EMMA locations. School children manage a small reserve just outside their village in this bay. Lovely to hear they are doing this, they were one of the highlights of our trip! Crazy bureacracy, likely they want to protect the children, so that part is great! We will help out, doing our donation tomorrow! HUGS to ALL! I’ll see who I can share this with on short notice to raise some funds. This is a good one. Thank you for this and all the other postings you have been sending. Boy….what you’ve been through! I’ve sent Sabrina $100.00 through QuickPay for the kids and their exciting EMMA endeavor. Thank you Michael! We greatly appreciate your support with this fundraiser.